Home / Articles / Should Marriage Last Forever? Do you ever think that marriage should have an expiration date? If not, it should! I believe marriages should expire periodically so partners can freely evaluate if they want to continue living a life with their partner or not. I have many clients that call me about how they might breathe some life and vigor into a dead, expired, long past due-to-end, marriage. I get clients that call me to talk about their lifeless marriage. I think if we can run a marriage as a cyclical event, like renewing a driver’s license, we can then honestly assess if it is complete or not at various points in time. If it is time to end it, it becomes a release, not a divorce. It simply expires if we choose not to renew it. The word “divorce” itself is a horrid word in our language that implies (even sounds like!) anger, struggle, animosity and conflict. I think we should release a spouse, complete a relationship, or better yet, work to an expiration date in a marriage. 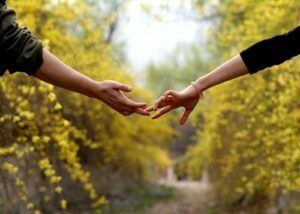 The regular assessment of renewal for the next years can breathe fresh air into a relationship that many couples have no idea how to even start. If we were to do so, we could honestly, even objectively decide if we wanted to renew it or let it expire and move on, simply because it lived itself out. It makes “time to move on” a recognized option easily done after consideration, just like a magazine subscription that we no longer are interested in. The division of property becomes a discussion point, not a ripping or tearing of things in half. Am I still in love with my spouse? Are my basic emotional needs being met? Are my basic physical needs being met? Is this a true 50-50 partnership? What would I add to the marriage in the next years? What would I eliminate in the marriage in the next years? Am I still committed to making this marriage work? Is my spouse still committed to making this marriage work? Do I want to sign up for this for another 5 years? Most of the time we are so dedicated to the search of a marriage certificate as a security blanket we lose sight of the fact that it is nothing of the sort. Each year, the rate of divorce increases. More than 50% of all marriages end in divorce. There is no security or guarantee of happiness or longevity with a marriage certificate. Many of us, as we marry, have no concept of “until death do us part.” It becomes shocking when we end something that really had a limited lifespan anyway, and put ourselves through more pain and grief. Next Does Your Expectation Dragging You Down? Is It Time To End The Relationship?